Exhibiting all of the qualities of refined elegance these pens are a timeless gift. 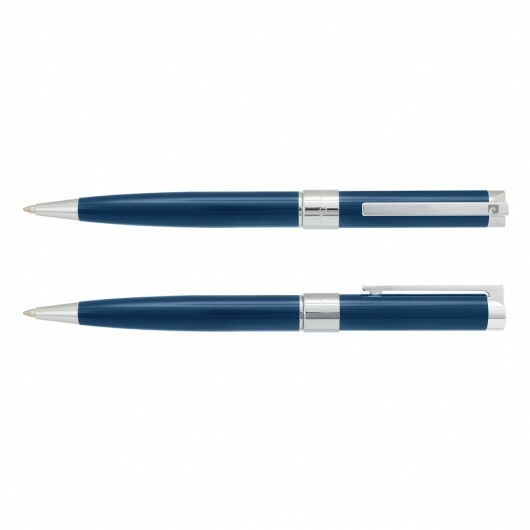 The Noblesse is an exceptional brass corporate ball pen that brings together practicality and style to bring you a writing instrument that exudes class. It has a finely tuned spring loaded clip, a lacquered finish and houses an extra large 4000m of black ink that is German made as well as a tungsten carbide ball for improved writing quality. 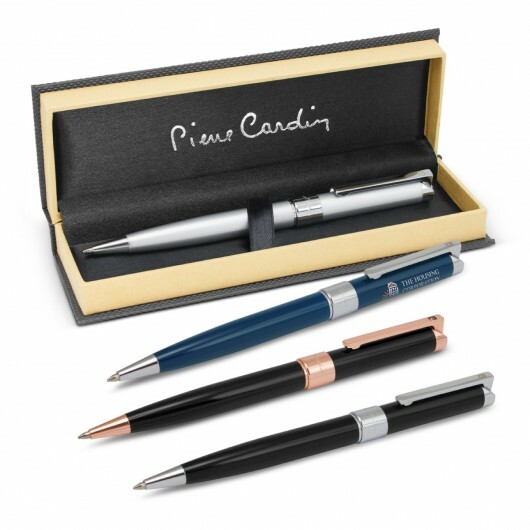 The Pierre Cardin logo is tastefully engraved on the centre ring and clip. These pens laser engrave to a mirror finish (rose gold engraves to brass) and come with their own gift box. 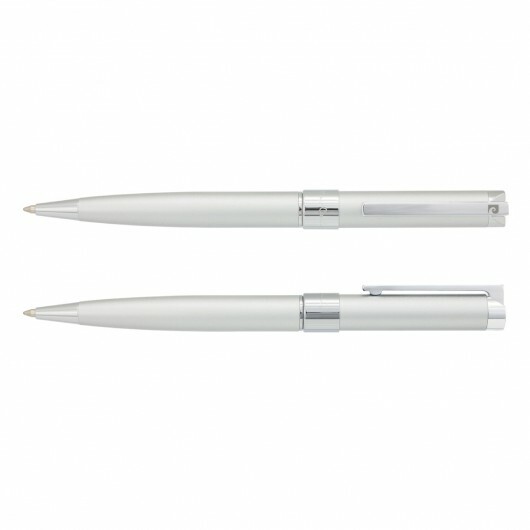 They can also be supplied with a velvet sleeve instead (price on request).